But used to HATE them, like SAM I AM to Green Eggs and Ham. Just one try, and you may too like the Green feature of the day! 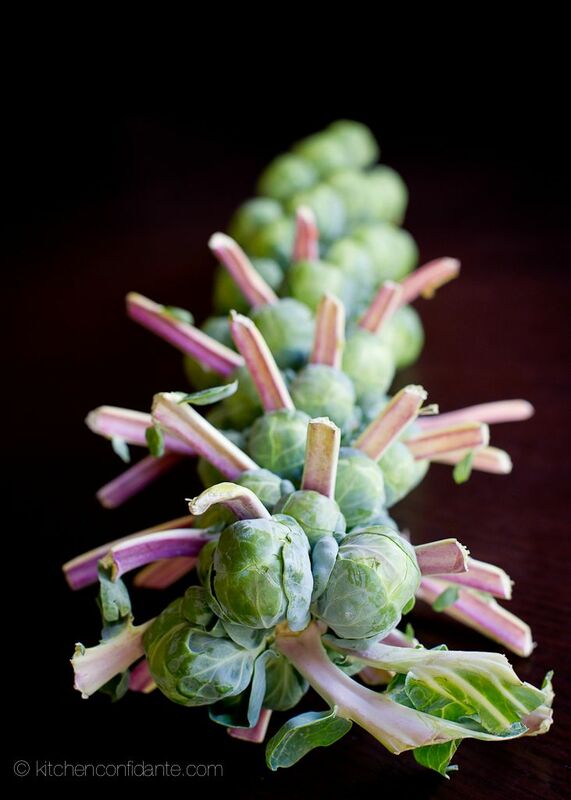 The buds of Brussels Sprouts are exceptionally rich in protein, dietary fiber, vitamins, minerals, and antioxidants. Brussels sprouts are winter crops. The sprouts are produced along a stalk, starting from the base and moving upward. 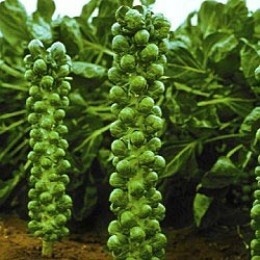 In order to get uniform sprouts, the tip of the stalk should be cut as soon as sprouts at the bottom start to develop. In addition, sprouts exposed to hot weather do not form into compact buds. Brussels sprouts are a storehouse of several anti-oxidants. 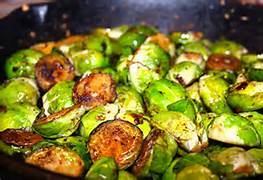 The phytochemicals in Brussels Sprouts offer protection from prostate, colon, and endometrial cancers. Brussels sprouts also contain sinigrin. Early laboratory studies suggest that sinigrin help protect from colon cancers by destroying pre-cancerous cells. Brussel sprouts are an excellent source of vitamin C; a cup offers 142% of RDA. Together with other antioxidant vitamins such as vitamin A and E, it helps protect the body by trapping harmful free radicals. It is one of the excellent vegetable sources for vitamin-K; a cup boasts 147% of RDA. Vitamin K has a role in bone health by promoting osteotrophic (bone formation and strengthening) activity. Adequate vitamin-K levels in the diet help limiting neuronal damage in the brain and thereby, preventing or at least, delaying the onset of Alzheimer’s disease. 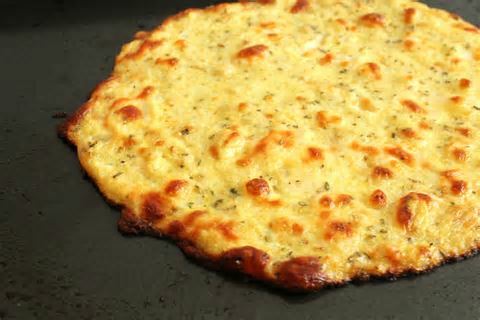 Grease a 9-10” pizza pan or baking sheet. Shred and chop cauliflower into fine crumbles (either by hand with a large Chef’s knife or with a food processor). Mince the garlic and add to the cauliflower in a microwave-safe large bowl. Microwave covered with plastic wrap for about 7-8 minutes. Uncover, drain and let cool for about 5-10 minutes. Add the next nine ingredients and mix together well. Bake the crust for about 10-15 minutes until golden brown. Remove the crust from oven and set aside. 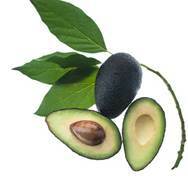 First, sprinkle a little olive oil on the crust, then I made a base of avocado. I browned some bacon and in some of the fat I seared the brussels spouts, lots of them! 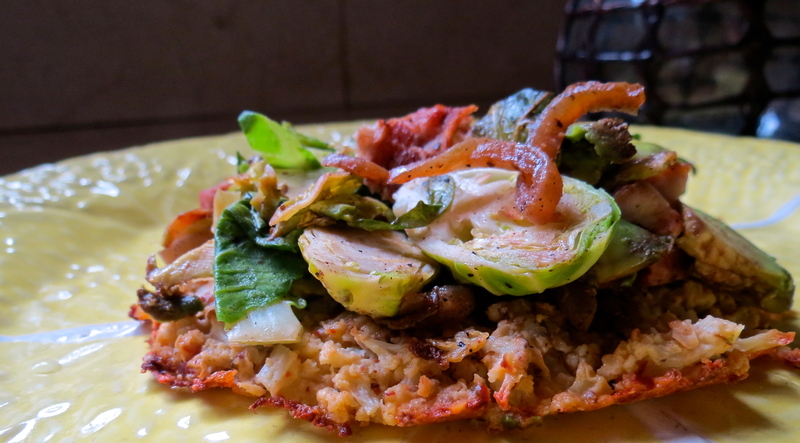 I crumbled the bacon over the sprouts, and added those next. 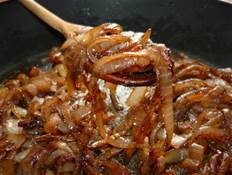 On top went caramelized onions with Chorizo sausage, and if that’s not enough; for friends who dig cheese, we smothered that for the finish. 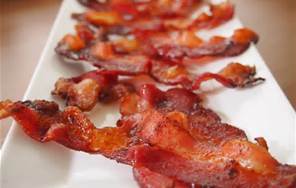 Proving that not only do we like to see Green, we like to eat it too (with bacon, of course)!